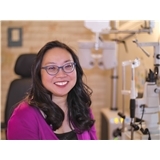 Eyes Of Texas Vision Care (Austin) - Book Appointment Online! Dr. Yee and her staff were very friendly, courteous, and professional. I got an eye exam and a new lens prescription and my glasses were ready the same day! I definitely recommend Dr. Yee and will definitely be back in the future.